I AM THE STORM’S FIGHT MUSIK VOL. 1 releases today (Sept. 14). NASHVILLE, Tenn. - Sept. 14, 2018 - PRLog -- Known as the frontman, songwriter for rock favorite Thousand Foot Krutch, Trevor McNevan unveils his eight-track EP, FIGHT MUSIK VOL. 1, today (Sept. 14) under the moniker I AM THE STORM. The new recording is available now at Apple Music, Spotify, iTunes, Google Play, Amazon.com and more through the link https://the-fuel-music.lnk.to/IAMSFIGHTMUSIKVOL1, and with management, marketing, sales and distribution through The Fuel Music and STORM MUSIK INC. and co-management through Paradigm Management. I AM THE STORM also launches its website (www.iamthestorm.ninja), Twitter (https://twitter.com/IATSofficial) and Instagram (www.instagram.com/iatsofficial), as well as premieres today the lyric video to its first single, "These Lines" (#theselines), on its YouTube page at https://youtu.be/lq5nPyCjVrU. Additionally, a concept music video for "These Lines" is in production now. Should I stay or should I go this time? Which one, am I gonna choose this time? 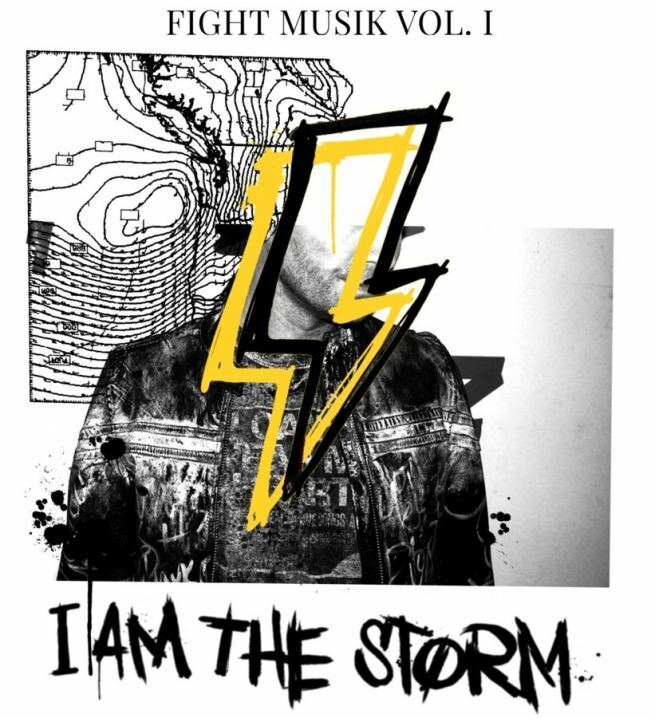 Showcasing a diverse collection of powerhouse songs with anthemic "get you up" hooks and aggressive, hard beats while also leveling a chill, nostalgic side that pays tribute to the roots of the hip-hop movement, I AM THE STORM's debut is the next chapter in McNevan's musical journey. "It was so inspiring to dive into this new project, both creatively and holistically, exploring different things musically, vocally and lyrically," says McNevan. "It's a creative room in my house that I haven't invited anyone else into for a long time." Inspired by his love of rhymes, beats and having recorded a hip-hop album at 13 and again at 15 before launching TFK at 17-years-old, McNevan hopes I AM THE STORM (#iamthestorm) can be a "statement that we could all use and an antidote to speak to our own mountains, obstacles, fears, addictions, hurts, pain and rejections. It's more about knowing that you're in the center of your storm, where there is complete peace and tranquility as you face all the conditions that storms tend to bring and overwhelm in your life." More I AM THE STORM news and information can be found now at www.iamthestorm.ninja, https://twitter.com/IATSofficial and www.instagram.com/iatsofficial, as well as on McNevan's Facebook (https://www.facebook.com/trevormcnevan/), Instagram (https://www.instagram.com/teerawk/) and Twitter (https://twitter.com/tfktrevor) pages. Paradigm Management Inc. is a music services company developed and founded in 1996 by Teresa Mills Davis. The core services for the music division includes artist development and brand marketing along with live event marketing and management services. Its offices are located in Franklin, TN and Seattle, WA.